The next step is to consider in what context you need to negotiate and obtain indemnification from other companies. One of the most common areas of business indemnification is in contractual relations. The purchase and sale of goods is often the source of largest financial risk – and therefore greatest legal liability – which a business will incur in its operation. 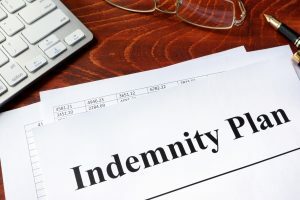 The most direct and effective way to mitigate this risk is by use of detailed, legally-binding provisions for indemnification in the written agreements which govern these transactions. Indemnification provisions must be tailored to specific nature of the transaction. The more generic an indemnification provision is, the less likely it will be able to protect your business from incurring contractual liability. A business contract attorney who is familiar with the specific needs of your business will be able to craft indemnification provisions which are tailored to your needs and have wide-ranging protections for your business. Without such provisions, your business can be forced to bear the risk of loss of contract goods due to negligence in shipping and delivery, acts of force majeure, and other actions which were not the fault of your business. Structure Law Group is here to protect your business by negotiating and drafting effective indemnification provisions in your contracts. We will help you put effective legal procedures in place to ensure that in the event you are sued, you have protection. Call (408) 441-7500 or email slgadmin@structurelaw.com to schedule your consultation with an experienced Silicon Valley corporate attorney.